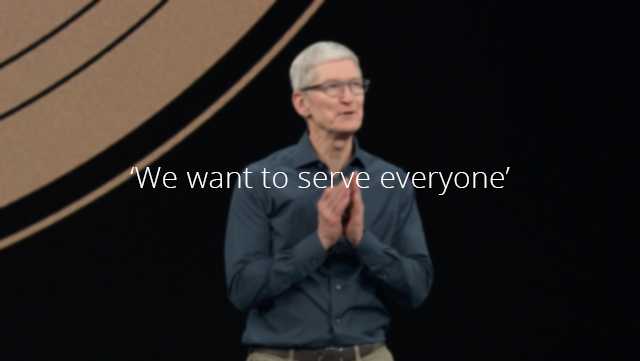 Tim Cook on iPhone Pricing: 'We Want to serve everyone"
'Gather round' event is over and Apple introduced three new iPhones with different prices as the iPhone Xs price starts at $999 - Xs Max at $1,099 and the iPhone Xr starts from $750. With that being said some users are finding the prices really so high but Tim Cook the CEO of Apple has made his point. In an interview with Nikkei, Tim Cook said "We want to serve everyone" "We understand that there is a wide range of what customers are looking for and a wide range of prices that people will pay." "We always thought ... that if you provide a lot of innovation and a lot of value, there is a segment of people who are willing to pay for it," Cook said. "For us, it's a large enough group of people that we can make a reasonable business out of it." Tim Cook is explaining that although the prices of these iPhones are high but we deliver a good quality smartphone. "A lot of things you were buying are now so convenient in one [gadget] and it has taken those things so much further than they could have ever ventured as a stand-alone device," he said. "The role of the iPhone has become much larger in people's lives". From your point of view, do you think the prices of the 2018 iPhones considered fair with their features ? Share your thoughts.